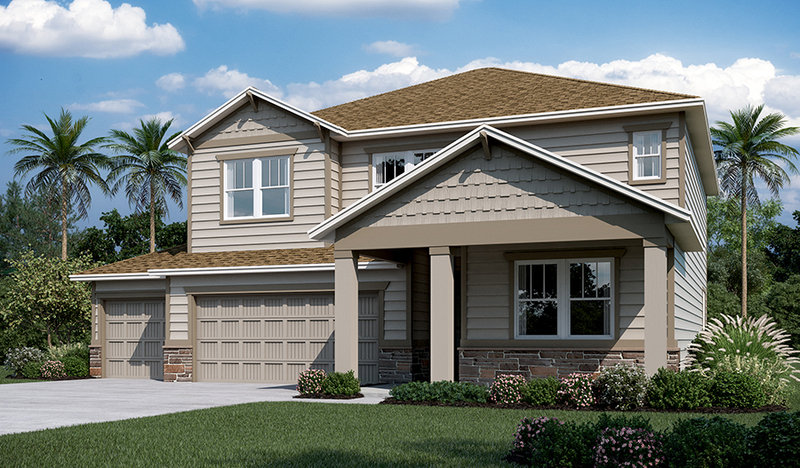 This new two-story home centers around an open layout with a great room (fireplace included!) and a gourmet kitchen with a center island and a walk-in pantry. You’ll also find a pocket office and a private study, complete with French doors, on the main floor. The master suite is upstairs, and offers a huge walk-in closet and a private bath. Three additional bedrooms, a bath and a laundry round out the second floor. Also includes a 3-car garage!